Barcelona have reportedly won the race to sign Toulouse starlet Jean-Clair Todibo, fending off the likes of Juventus and Napoli to secure his signature. The Catalan giants have had troubles in defence so far this season, conceding 19 goals in their opening 17 La Liga outings which gives them the joint second worst defensive record of the top eight sides. Injury setbacks suffered by Samuel Umtiti and Thomas Vermaelen haven’t helped matters, but they did address the issue with the loan signing of Jeison Murillo last month, as noted by Sky Sports. That deal runs until the end of the season, but it’s added that Barca can sign him on a permanent basis for £22.6m if they decide to keep him on. 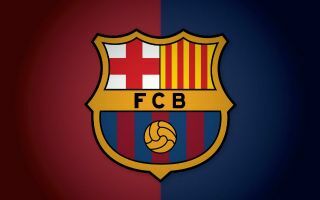 Time will tell if he impresses enough to earn that move, but it appears as though the Spanish champions aren’t content with one new signing in that department as it’s claimed by Sky Sport Italia reporter Gianluca Di Marzio that they’re also on the verge of completing a swoop for Todibo. The 19-year-old will be available on a free at the end of the season, while it’s added that both Juventus and Napoli had also been interested in him. However, it’s expected that Barcelona will wrap up a deal to take him to the Nou Camp this summer, with the starlet impressing for Toulouse in the 10 appearances that he’s made for the club so far this season. With Gerard Pique not getting any younger and question marks remaining over Umtiti’s injury troubles, the defence certainly needed to be addressed at Barcelona and they’ve seemingly now done so with some long-term solutions. Coupled with Clement Lenglet, coach Ernesto Valverde will surely feel much more comfortable about the options at his disposal with the Catalan giants looking to compete on multiple fronts this season and beyond.